–Old World German Restaurant in Huntington Beach hasteamed up with the Swedish Women’s Educational Association (SWEA) to host their popular SWEA of Orange County Christmas Fair on Sunday, November 18. Reminiscent of an authentic Christmas market as experienced in Sweden or Germany, SWEA’s Christmas Fair is one of the largest Christmas events held in Southern California, offering many great gifts, hard to find treats, and other specialty items traditionally seen at holiday markets throughout Europe. 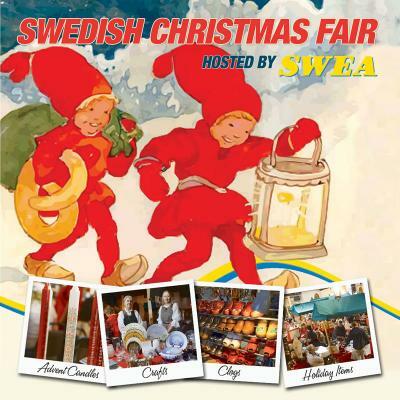 The Christmas Fair will take place from 11:00 am to 5:00 pm and will feature an amazing collection of handmade gifts, clothing, crafts, baked goods, unique Christmas decorations, Swedish themed artwork, food, and festivities. A special Santa Lucia Pageant will also be held at 1:00 pm and again at 3:00 pm, showcasing performances by an angelic children’s choir. This annual candlelit procession features boys and girls clad in white, floor-length gowns singing traditional songs in honor of Santa Lucia, a Christian saint who provided food and help to those hiding from religious persecution. Admission is $5.00 for adults, $2.00 for children aged 5-15, and FREE for children 4-years-old and younger.